Finn and Cara are brothers and they live in the Irish coast, where sheep graze on green cliffs, wind howls in the chimney and grey fog rises over the sea. One day, when the brothers go sailing on a rowboat around the bay, a thick fog looms over them and ocean current drags them to a strange beach. Finn and Cara have arrived in Fog Island, where nobody has ever come back from. But they don’t lose heart and eventually meet the amazing master of the island, who tells them where the fog comes from. A story about courage, curiosity and the unforeseeable forces of nature. “A new work by one of the most brilliant working illustrators in the world” (The New York Times). “The Fog Man shows again Ungerer’s aim: to take children seriously. Tomi Ungerer brilliantly harvests the atmosphere of an overcast sea. A dark, strained sea, which is never too frightful thank to the presence of the two children characters” (Die Zeit). "... wonderful pictures that are set up in a rural and peaceful scenery, delicious derawings of animals and ladscapes with a colour chart based on gray, brown, blueish green and some touches of red. Ungerer can express feelings and emotions from a goneby age, but that age looks familiar to us because is the age of marvelous tales, of stories about the beginning of things, about how important is to take the reins of your life". (Ana Garralón) . "Acclaimed author Tomi Ungerer success in giving form to the fog, the moon above the sea, the tense atmosphere on just a few pages. Conceived as tribute to Ireland, this is a thrilling, fantastic book" (ABC Cultural). “… What I find interesting in this wonderful tale is the symbolic meaning that it contains and that has left me completely dazzled (…) An absolutely wonderful story. Extraordinary” (Peb Bruno). TOMI UNGERER HABLA DE "EL HOMBRE NIEBLA"
Tomi Ungerer nos habla de su último libro, "El Hombre Niebla"
"THE FOG MAN" AWARDED BY "THE NEW YORK TIMES"
"The Fog Man", by Tomi Ungerer, has been selected by The New York Times as one of the best 10 illustrated books in 2013. "THE FOG MAN" VOTED "BOOK OF THE YEAR"
"The Fog Man" by Tomi Ungerer, has been highlighted by the specialized critics and chosen the best picture book in 2013 by Babelia (El Pais). 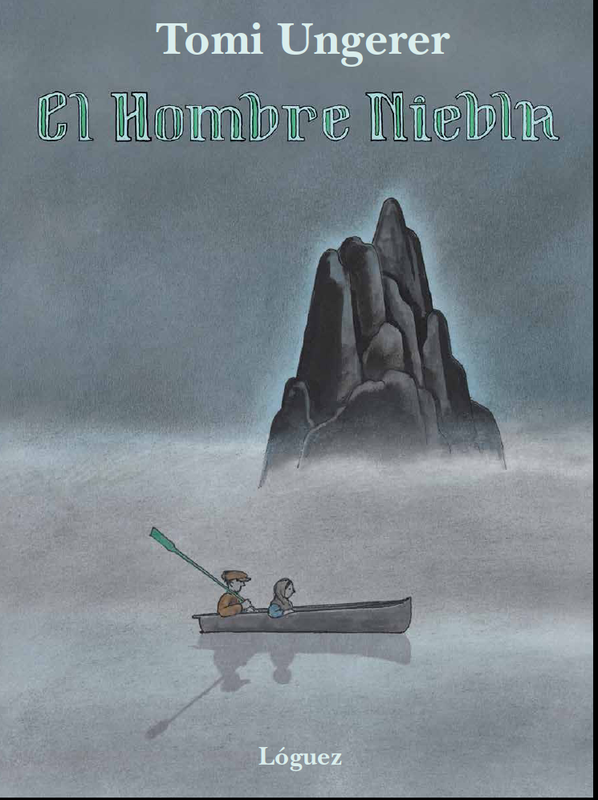 "El Hombre Niebla", de Tomi Ungerer, mejor álbum ilustrado de 2013 y destacado por críticos y especialistas , ha sido reseñado recientemente en el prestigioso blog de las bibliotecas y los bibliotecarios: Biblogtecarios. "El Hombre Niebla" es un acto de amor a Irlanda. Tomi Ungerer homenajea al país que lo acogió y, con motivo del día de S. Patricio, patrón de Irlanda, nos relata su experiencia con las gentes del lugar y la génesis de su libro. Hoy el mundo de la Literatur Infantil y Juvenil se ha conmovido por la noticia del fallecimiento del gran autor e ilustrador Tomi Ungerer.